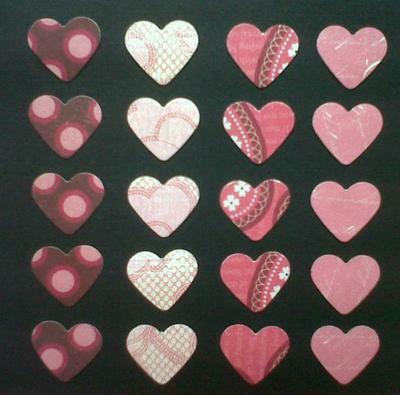 Punch 5 hearts from each patterned paper, giving you 20 hearts in all. Using a pencil and a ruler, draw a line on the black card stock where you will glue the hearts. Do this until you filled in the black cardstock. 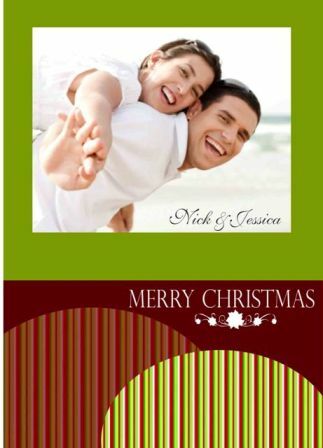 Adhere the black cardstock onto a white cardstock.